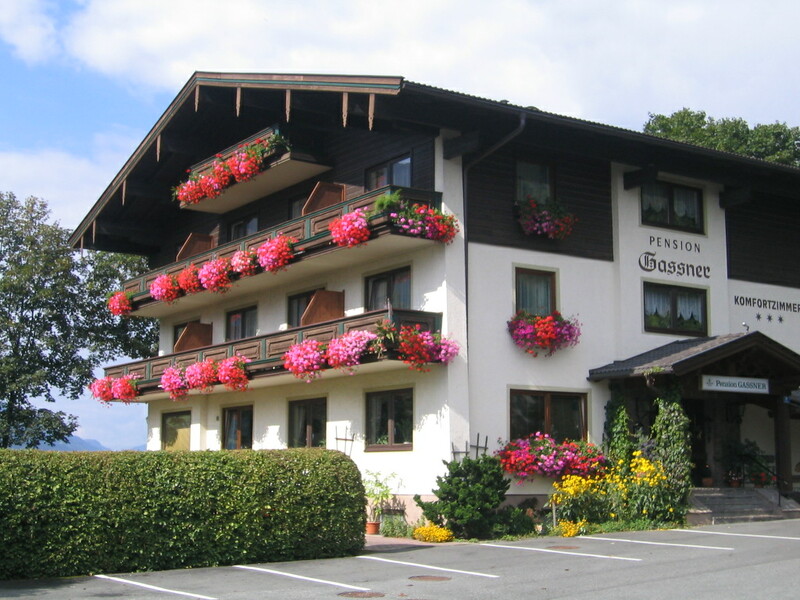 Long before Bad Gastein and Bad Reichenhal became famous, Bad Fusch (elevation 1188 m, Großglocknerstraße) was a famous mountain spa resort in the Hohe Tauern. The Pinzgau “Bad in der Fusch” at the end of 4 km long Badstraße in the Weichselbachtal was already known in the 15th century. Its healing properties drew the first spa guests (farmers) here from the heavily swamped Oberpinzgau. Around 1417 a two-towered church was built here, financed due to the silver ore mining on the Kühkarkopf in Weichselbach. In the 18th century, the spa became increasingly important and finally flourished in the second half of the 19th century. A great patron and benefactor was Archbishop Friedrich VI. Prince Schwarzenberg, after whom the strongest spring, the “Fürstenquelle”, is named. He regularly visited the spa from 1829 to 1843 and owned a house here. He was also known as an avid alpinist and climbed with the mountain guide Johann Holzer, who is widely known by the name Bad-Hans, many of the surrounding peaks. So the Hoher Tenn was climbed by him for the first time. In the 17th century, an avalanche of Mitterkar destroyed the church and several buildings. In 1705, the church dedicated to St. Wolfgang was rebuilt in a safe place. It was consecrated to St. Wolfgang because Wolfgang cults are often found near medicinal sources. Pilgrimages to Bad Fusch also took place. In 1844, another avalanche damaged the church and destroyed the Schwarzenberg residence. The damage was repaired, replacing the destroyed institution of the church by charitable spa guests. Later, the buildings were given natural protection by extensive forest planting. At the end of the 19th century, an average of 500 bathers from Austria and Germany came to Bad Fusch in the summer months. The painters of the Romantic period soon discovered the spa as a worthwhile motive. There are also a number of copper engravings and paintings of the “Fuschbades”, including Georg Pezolt, Friedrich Loos, Heinrich Reinhold or Jakob Alt from that time. Hugo von Hofmannsthal also visited Bad Fusch several times at a young age. The town experienced a new upswing through the construction of Badstrasse in 1893. This was followed by the improvement of the two major hotels, the construction of a swimming pond, a bowling alley and a tennis court. From Bruck to Bad Fusch a Stellwagendienst was set up and opened a seasonal post office in the village. Soon after the First World War, however, the decline began. The unfavorable traffic situation, the strong competition of larger and more well-known health resorts, several times changing owners and fires were reasons for it. Although attempts were made to revitalize the spa after the Second World War, the generously planned project had to be abandoned due to financial shortcomings. Today, the former health resort is a popular destination again. It is secluded and offers the most beautiful scenery near the Grossglockner High Alpine Road. Of the original eleven healing springs, today only the Fürstenquelle, Augenquellehe and Leberquelle are left. They contain only a few mineral constituents, such as sodium sulfate, magnesium carbonate or silicic acid. But they are rich in natural carbon dioxide and have a constant temperature of about 6.2 ° C. The water has a refreshing and invigorating effect. It stimulates the appetite, promotes digestion and blood circulation and possibly heals various gynecological diseases. Drinking cures, baths and the Höhenluft belonged to the therapy offer in the health resort. Nowadays tourists still come to Bad Fusch – mostly by bike or hiking. Several marked hiking trails are available here and toegther with the modern Kneippanlage, labyrinth the location is a great destination for family days off.